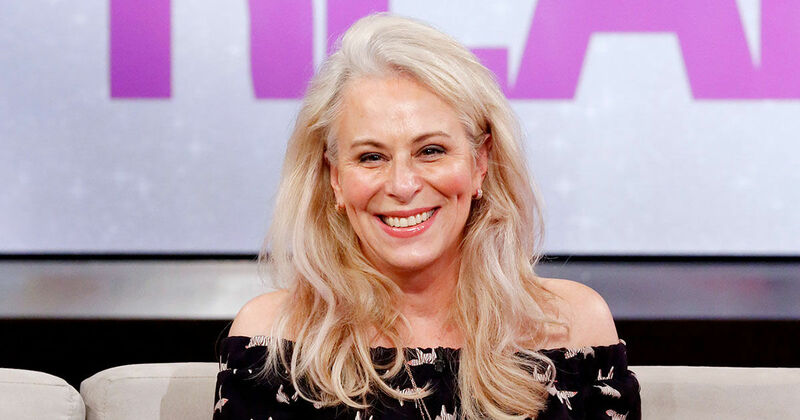 Fans of the award-winning sitcom Malcolm in the Middle will never forget the role in which Jane Kaczmarek played on the show as the matriarch Lois. The Milwaukee, Wisconsin-native went on to further leave her mark not only on TV but in films and theatre as well. Her effort over the years in the art form has garnered her seven Emmy Award and three Golden Globe nominations. Read on to find out everything there is to know about her and her career, including her net worth. The actress was born as the oldest of four children to her parents on the 21st of December, 1955 in Milwaukee, Wisconsin. Named Jane Frances Kaczmarek, she is of Polish heritage and was raised a Catholic by her mother, Evelyn (née Gregorska), a teacher, and father, Edward Kaczmarek, who was employed by the US Department of Defense. After completing her high school education, Kaczmarek enrolled in the University of Wisconsin-Madison where she studied to be a teacher. There, she majored in theatre and also met Tony Shalhoub who became her friend. Following graduation, the two went on to attend Yale School of Drama graduate school where they joined the theater company. Kate Burton was said to be her roommate at Yale. After leaving Yale with a Master of Fine Arts degree, Jane Kaczmarek went on to enjoy a long stay in Hollywood, where she was able to rack up a long and almost inexhaustible list of incredible works in films, television, and theatre. She began her career in the 80s as Margie Spoletto on For Lovers Only (1982) and then had a short role in the medical drama TV series, St. Elsewhere (1983) as Nurse Sandy Burns. She made her big screen debut in Uncommon Valor (1983) in the role of Mrs. Wilkes. She then went on to make guest appearances in TV shows like Remington Steele and Scarecrow and Mrs. King as well as in The Paper Chase: The Second Year (1983-1984). Other works in which she appeared in include Falling in Love (1984) as Robert De Niro‘s character’s wife Ann Raftis, The Heavenly Kid and Door to Door in 1985, D.O.A. and Vice Versa, both in 1998 and in 1989, she appeared in All’s Fair. Jane Kaczmarek started the 1990s as a regular cast on the ABC legal drama Equal Justice (1990-1991) where she played the role of Linda Bauer. Going forward, she joined the cast of Big Wave Dave’s in 1993 and appeared in only six episodes. In 1994, she had guest roles in Monty Nickerson, Law & Order, ABC Afterschool Specials, L.A. Law, and then played Dr. Caroline Jaffe in the television movie, Without Warning. Other TV serials that hosted her talents in the decade include Picket Fences, Party of Five, Touched by an Angel, Apollo 11, Cybill, Frasier, The Practice, and Felicity. She appeared in the crime thriller flick The Chamber in 1996 and had a supporting role in Pleasantville as David’s Mom in 1998. Outside the screen, she has had several Broadway hits, including Lost in Yonkers (1998) where she replaced Mercedes Ruehl and Raised in Captivity which earned her an L.A. Drama Critics Circle Award. To begin the new millennium, Jane Kaczmarek was cast to play Lois Wilkerson, the mother of the titular character Malcolm (Frankie Muniz) in the sitcom Malcolm in the Middle. From 2000–2006, she appeared in 148 episodes of the series. Besides several critical acclaims for her comic talents and TV Guide dubbing her role as a “true breakout; a female Homer Simpson”, she credited the show for introducing her to her comedic side which she never knew existed. For her performance, she received seven consecutive Emmy nominations for Best Actress in a Comedy Series, although she never won. In addition, she earned three Golden Globe Award nominations, two Screen Actors Guild Award nominations, won two Television Critics’ Association Awards (2000 and 2001) among others. After Malcolm in the Middle ended, Kaczmarek continued to receive roles mostly on the small screen. She starred in two short-lived series Help Me Help You and Raising the Bar. She also continued to lend her voice to Judge Constance Harm on several episodes of The Simpsons (2001-2010). In 2010, she appeared in the TV movie Reviving Ophelia as Marie and in an episode of Wilfred in 2011. Her other TV credits include Whitney, The Middle, a voice role in the musical and interactive children animated series Jake and the Never Land Pirates, Law & Order: Special Victims Unit, Us & Them, Playing House, and The McCarthys. In 2015, she was featured in two episodes of Big Time in Hollywood, FL as Dr Moore and then had a voice role in an episode of Penn Zero: Part-Time Hero. Jane Kaczmarek played Dr. Gallow in The Big Bang Theory in 2016, Cindy Barrett in Cooper Barrett’s Guide to Surviving Life, also in 2016 and in 2018, she appeared as Mrs Philips in Katie Girls episode of the comedy-drama series, This Is Us. She made a comeback to the big screen in 2015 with the indie film The Boat Builder as Katherine, co-starring Christopher Lloyd. Then, she starred in the horror film Wolves at the Door in 2016, CHiPs in 2017, and in 2018, she portrayed Gayle in 6 Balloons. 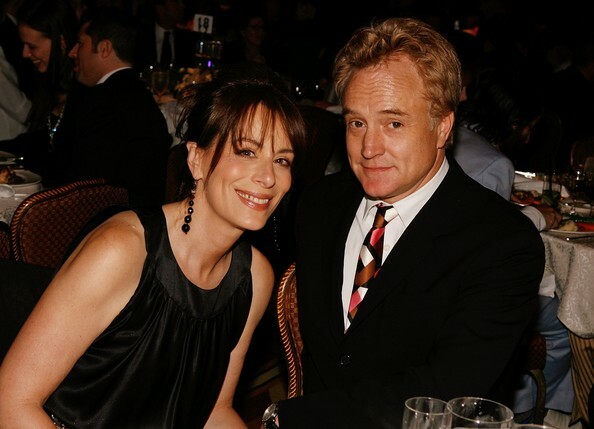 In 1990, Jane Kaczmarek met Bradley Whitford, an actor and fellow Wisconsin native, on a blind date that was arranged by her former roommate Burton. After having dated for about two years, the pair took the bold step of tying the knot on August 15, 1992. Together, they have welcomed three children; Frances Genevieve (b. 1997), George Edward (b. 1999) and Mary Louisa (b. 2002). The pair remained together until 2010 when they opted to part ways for unknown reasons. Thanks to the many years of dedication and hard work she has put into her craft, Jane Kaczmarek has been able to garner a huge fortune, which is a positive nod to the given that hard work pays. According to multiple celebrity wealth calculators, her net worth has been estimated to be $9 million.